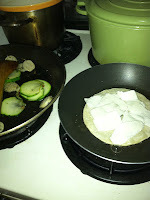 Sharing favorite recipes as I cook, and descriptions/pictures of great meals eating out! For a long time I've noticed that I remember meals I've eaten very well, and will often remember years later not only my own meal, but what my friends had as well! Food is a really important part of my life's enjoyment, and I'm glad for a space to share those pleasures! Feel free to comment and make suggestions if you get a chance to try out these recipes at home! 1. 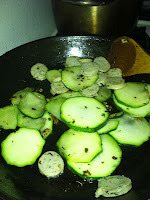 In a small frying pan, heat olive oil. Add garlic, tarragon, and shallot salt and saute. 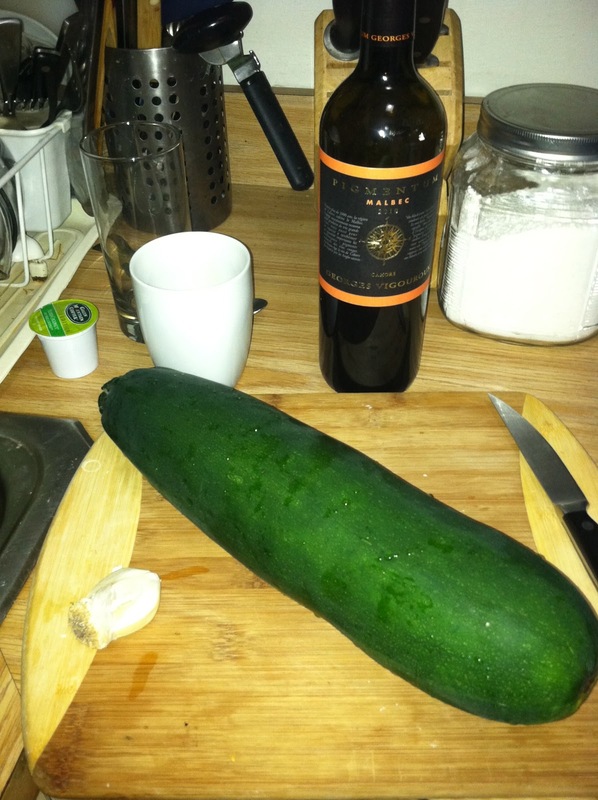 Add sliced zucchini. 2. In a large frying pan, melt butter. Place tortillas on the pan and sprinkle cheese on them. 3. Once the zucchini is softened, add the chicken sausage to heat through. 4. 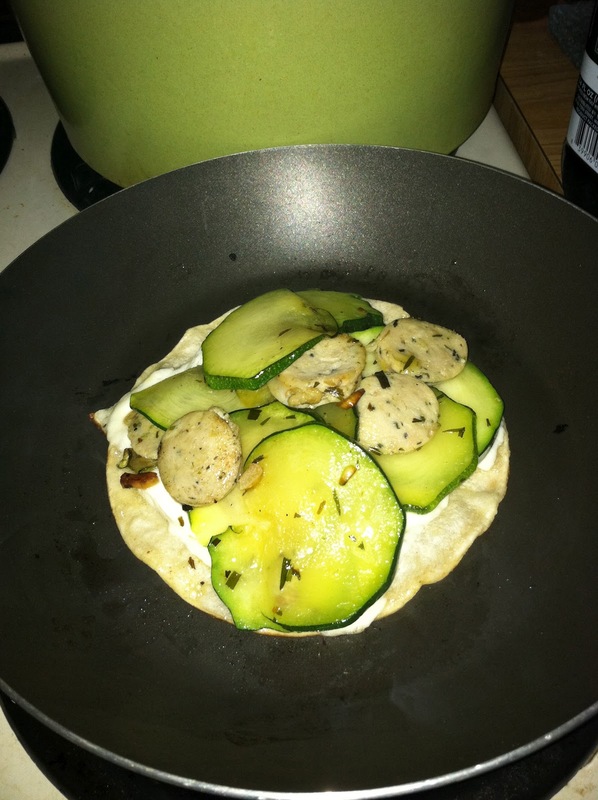 Portion the zucchini-sausage mixture over the cheese and tortillas and place another tortilla on top of each. 5. 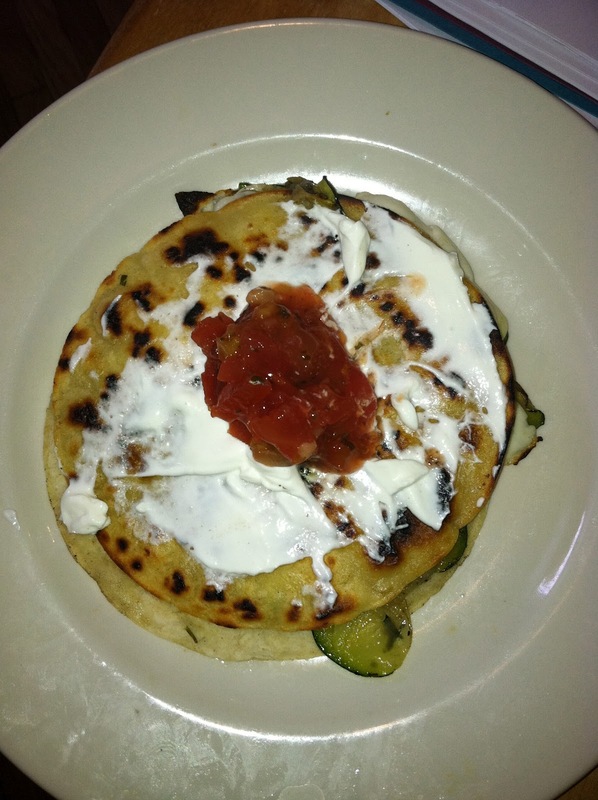 Serve with sour cream and pico de gallo (or cabbage if you have any laying around! ).